A sick plant is always a reason for concern and to make matters worse, when you try to do something about it you usually can’t even determine what’s wrong. Here’s a book that will help. 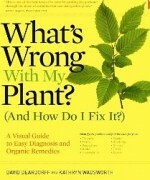 It has a whole new approach to plant health that guides a gardener through the process of determining the cause of a problem and then treating it organically. Whether you are a novice or experience gardener you can successfully use this method without even need to knowing the name of the sick plant. The first part of involves how to identify the cause of the problem This is done by means of flow charts that consist of a series of simple questions, presented in pairs. Each question is accompanied by an illustration and requires a “yes” or “no” answer. By observing the symptoms of your plant, matching them to the illustrations, and answering the questions, you can follow the flow charts and end up with the cause of the problem. To those of you who remember keying out plants, twigs, or insects in high school biology, this system of flow charts is called a dichotomous key. When you get to the end of the flow charts (i.e. dichotomous key) the cause of the problem is identified and you are sent to a page where safe, organic solutions are discussed. Don’t expect to find any easy chemical solutions to the problem because they aren’t there. 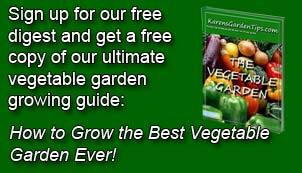 Instead there is an informative discussion of both the destructive and benign aspects of the causative agent with extensive recommendation for bringing good health back to your plant and/or garden. Stress is laid on prevention and the importance of good growing conditions. In some cases, the authors admit, chemicals may be necessary and they offer guide lines for using low toxicity organic chemicals as a last resort. A large section of the book consists of a photo gallery of common problems. It includes examples as simple as deer damage to a rockrose flower and more difficult ones such as botrytis on a zinnia. These photos are very helpful when using the flow charts to identify the problems but don’t try use them alone for that purpose because it won’t work; too many problems look the same even though they have different causes. Determining the cause is critical to solving the problem. This book is worth buying just for the flow charts that help you identify the problem. Once you have identified the cause of the problem you have a choice of solutions and you can proceed as your time, money and inclination dictate. My only caveat is that not all diseases are covered in the book, for example, rose rosette, a deadly disease of roses that is recently causing havoc among rose growers. Perhaps the newness of the problem explains its omission. Other than that, I strongly recommend this book as a “must have” for any gardener even those with just houseplants on a windowsill.